We can be a perfect match! 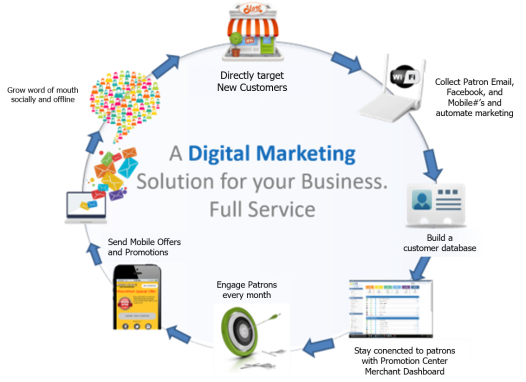 Start Your Own Business in Digital Marketing! Help businesses increase repeat business, automate their marketing, and grow their cash flow. Local businesses want SOLUTIONS to drive their business. There's a huge demand for Mobile Marketing, WiFi, and loyalty apps, your income potential is endless. *These results are not guaranteed and are estimates only. 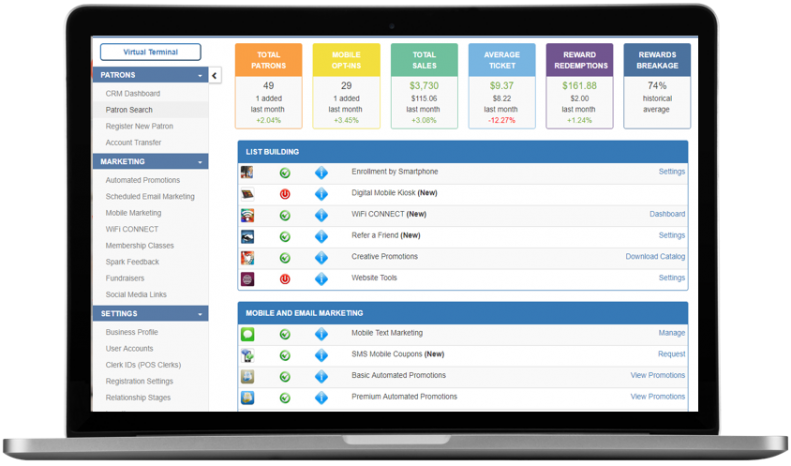 Digital marketing that includes email, mobile, referrals, rewards and automation all in one solution. 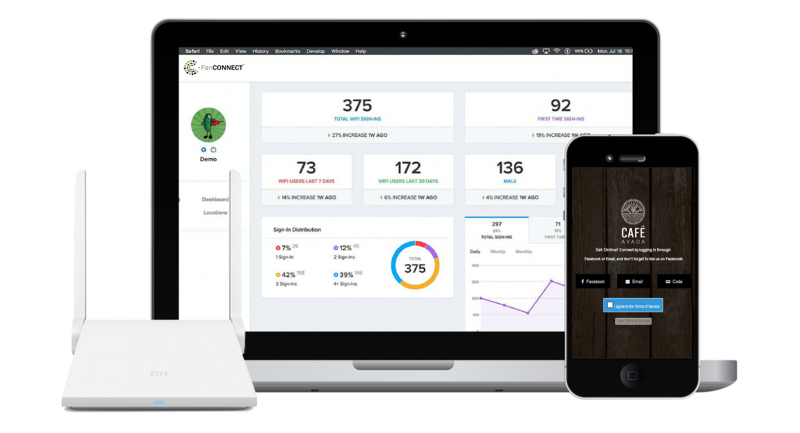 Great for restaurants, retailers, and small business that want a complete single platform for their customer engagement, referrals, and customer appreciation. 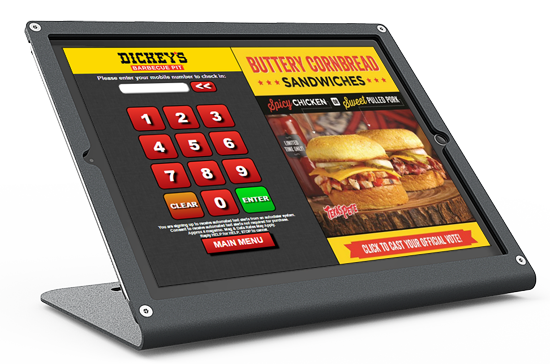 Offer your customers our Mobile KIOSK solution to push redeemable coupon offers, engaging mobile messages, birthday and loyalty promotions. Perfect for retail, restaurant and small business. Do you work with brick and mortar businesses such as restaurants, coffee shops, movie theaters, or retail stores? Are you looking for a unique solution to help your business stand out in front of the crowd? Are you looking for recurring revenue solutions? * 11 million consumers signed up. Unlock Your Income Potential with a Digital Marketing Platform. Perfect for any size business and is completely turnkey.